Hello, all welcome to the live Cricket score ball by ball commentary of IPL 2019 Match 29th Kolkata Knight Riders vs Chennai Super Kings. It’s time for the clash of two titans of the Indian Premier League, CSK vs KKR. Chennai Super Kings Won the Toss and Opt to Bowl !!! Stay connected and get minute by minute live updates of KKR vs CSK. This is the second time CSK and KKR will take on each other this IPL 2019. In their previous match Chennai, CSK had decimated the visitors by restricting them for 108/9. Then, the chase was accomplished with 7 wickets in hand. Both the teams are performing very well in this IPL. We can expect a close competition between two very strong sides of the IPL. Follow KKR vs CSK live score and know what is happening on the ground with us. Let’s look at the KKR vs CSK previous matches records. Catch Indian Premier League KKR vs CSK Live Score ball by ball commentary with fast scorecard updates, Results and much more. 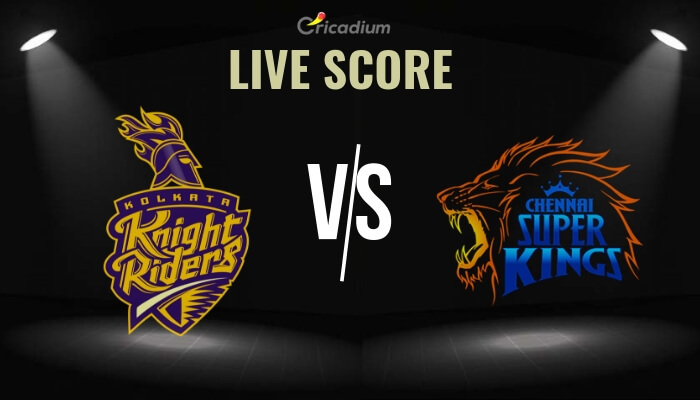 For KKR vs CSK Live Score ball by ball commentary stay connected to Cricadium.